There are some fundamental questions about your self-identity which are difficult to answer. The following are a few examples. Who am I? Am I what I think I am? Is there an identity in me that does not depend upon my thoughts, beliefs, and opinions? The other day, a well-known author, who is also a spiritual teacher, appeared in a television program and tried to answer the first question. His answer lacked conviction as he repeated standard answers from spiritual texts and seemed to be intent upon impressing his audience with his eloquence and beliefs rather than relating it to his own experience. However, it was impressive that he was at least thinking about it. In today's world how many people really think about it and of them how many do it without surrendering to their irrational and traditional beliefs? Most people are interested in the distractions of the world around them rather than what is in them. They confuse their beliefs for facts, facts for opinions, and opinions for truths, and speak with conviction the mysteries of life, when they should admit their limitations, and show humility to learn and find the truth. When you say, "I am soul," you must know what a soul means and how you can incorporate it in your composite identity. Indeed, there is no universal answer to the question of "Who am I?" You should be surprised if anyone answers it with confidence based upon his or her personal experience. Theoretically, you may know the answer, but personally it is difficult to come to terms with yourself without spending considerable time in contemplation and self-exploration. The answer must arise in you as an expression of your very being. It must define you and express you in your terms, free from your imagination, speculation, and beliefs. The following problems prevent you from knowing who you are. They are chiefly responsible for the difficulties you experience in knowing truths about yourself. 1. Your self-identity is an amorphous concept: You do not have one particular identity that remains constant. You have many identities at the same time and each of them may also undergo change. You play many roles, establish many relationships, and assume many identities as you deal with problems and try to survive in a world of numerous threats, challenges and conflicts. 2. You do not completely know yourself: Many things happen in you, without your knowledge and control. You have many aspects that remain unknown to you and to others until the end. Many assumptions that you make about them, such as your dream world, may not be true. 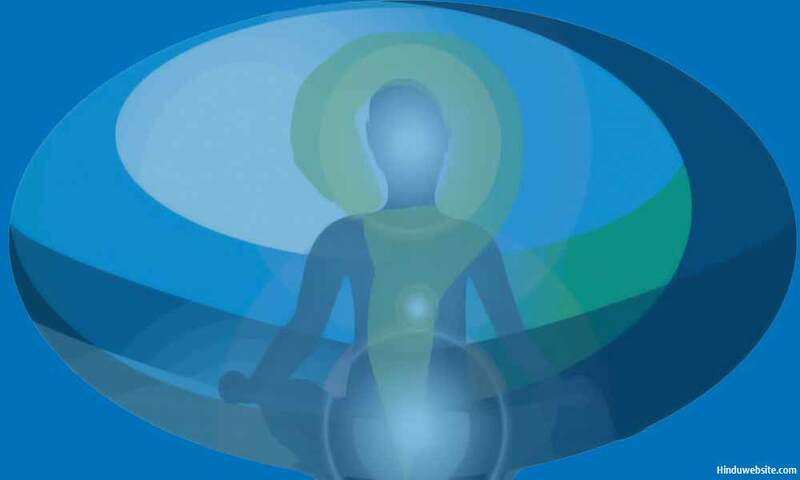 You can study yourself from the outermost physical aspects of you to the innermost mental aspects and still you may not know for sure whether your study is complete. 3. You are conditioned to be: Your notion of Self is a construct or a formation conditioned by your need for approval and belongingness. It is an accumulation of knowledge, which does not truly represent you, but what you decide to project to the world as a part of your survival. You also wear many masks and embellish truths about you to hide certain aspects of you from the world to avoid their judgment, attention and disapproval. 4. Your identity constantly changes and evolves: Your identity as a child is not the same as your identity as an adult or an old person. You keep changing as you learn about you, others and the world, and as you progress in your life, leaving behind your attachments, identities, roles, responsibilities, and relationships. Since you are in a constant state of flux, you may appear differently to yourself and others in different contexts and time-frames. 5. You are a mental construct: You are an association of selected thoughts and memories, glued together by your desires and attachments. You create your identity or self-image as a construct, just as you create many things in your life according to your needs, desires, resources, and circumstances, and according to what you want to project to the world as you. The identity which you assume is the sum of sensations, beliefs, thoughts, ideas, opinions, memories, perceptions, feelings, emotions, experiences, concepts, desires, and attachments, which you dearly hold in your consciousness because they serve your self-interests. They create in you the notion of a personality or beingness, while a lot of what you experienced remains unrepresented and unaccounted for. 6. You create your own illusions: You not only create your self-identity with selective memories, but also embellish it with your imagination and creativity. You suppress and alter facts about your life, besides rewriting certain unpleasant memories, to present an ideal image of you to the world and to yourself. The Illusions you so create can hamper your ability to ascertain your true identity and understand your behavior. 7. You have many states of being and knowing: Are you the same person when you are awake, dreaming, or asleep, when you are angry, or when you are peaceful? As you interact with the external world, you experience different emotional states and appear differently to those who interact with you. Those states can also coexist at the same time. For example, you may internally be unhappy, but externally calm. You may be happy to see your friend, but may internally be feeling unhappy at the same time about an incident that happened a while ago. You inner world is thus a medley of diverse states in which it is difficult to know who you are and what you stand for. One school of thought suggests that externally you have an unstable and transient self, while internally, hidden behind it, is an eternal and unchanging self. While your external self may undergo innumerable changes, the inner one does not change since it is your eternal identity. Those who do not agree with this state that there is no eternal self beyond your impermanent self, and you must resolve its instability and transience to experience peace and stability. Your identity is an illusion or a projection because it does not reflect the truth of you but what you want to become in the esteem of others or what you want to project into the world as you. You are what you think and believe you are, not necessarily who you really are. This becomes evident when you consider the whole humanity and how they differ. All human beings go through many identical experiences in their lives, but end up feeling and being uniquely different because they pick specific memories from the pool of their experiences and choose to remember them in certain individual ways. They become what they choose to become and how they want to remember their past and make sense of it. The Buddha suggested long time ago that the so called self-image was but an aggregation of mental and physical parts, or a mental construct of selectively accumulated pieces of knowledge and information. It was pieced together by each being according to his or her desires, beliefs and preferences. It can be dispersed overtime with effort, just as you can breakdown any compound substance. The identity you thus create is contextual and unstable. It is also incomplete because it selectively represents you based upon your choices. It is so fragile that it can be permanently lost if there is damage to the brain, or if there is a loss of memory as in case of Alzheimer's patients. Since, it remains in a state of flux it does not give you a fixed sense of who you are except a limited view of who you might be. Finding a definite answer to the question is not necessary because you can live without knowing it. Many people do not know an answer but still manage to live normally and achieve much of what they want to achieve. Still it is worthwhile to explore your consciousness and ascertain facts about the nature of your existence and identity. In your quest for self-knowledge, honesty is important. You should do it not to impress the world but to know who you are and what you are. Knowing it even vaguely elevates your thinking and your approach to the problems and people in your life. In this regard the following principles are worth mentioning. 1. Try to understand who you are even if you cannot exactly define who you are or why you exist. 2. Minimize the mental noise to know what exists when you are utterly silent. 3. Begin with what you know based upon your experience and observation, instead of indulging in speculation and imagination. 4. Understand the constructs you build and the masks you wear to manage the complexity of your life and relationships and how they may interfere with your true identity. 5. Observe yourself as you go through many emotional and physical states to know the observer and the one who experiences it. 6. Understand your illusions and conditioning to find your authentic self so that you can be yourself, true to yourself, and know yourself.